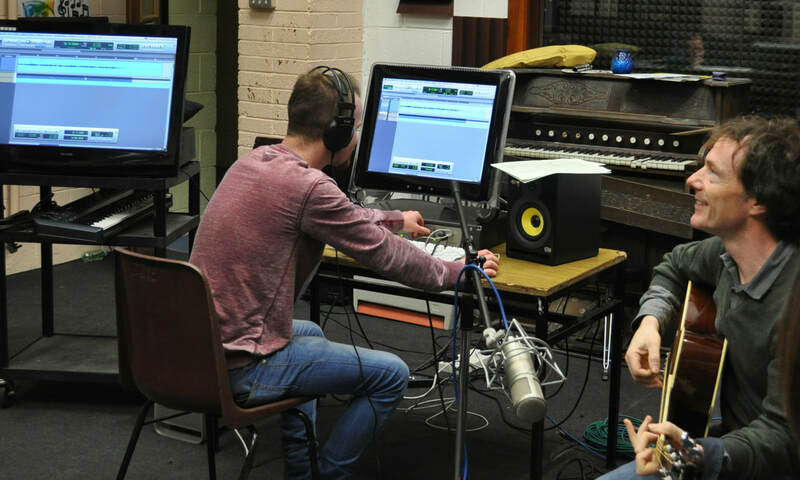 JJ Vernon, sound engineering tutor in The Donahies Community School, pictured playing the guitar in the recording studio. It’s not everyday you meet a guy who’s worked with musical geniuses such as Van Morrison, Thin Lizzy, BB King, Chris Rea, or Jethro Tull. But, if you were in the Sound Engineering and Music Technology night class in the Donahies Community School in north Dublin, you’d bump into Don McKevitt. Don joined the class to learn about today’s sound engineering technology. A songwriter and musician for years, he came across the Donahies night class and tutor JJ Vernon when he wanted to update his own skills. “I know live music mixing, but I knew nothing about the modern way of mixing. And I wanted to learn that so I could use it for my own song writing and recording. In the class, people learn how to record and edit musical performances by both solo artists/ensembles and speakers. They learn how to operate Pro Tools, mixing and editing software, as well as exploring MIDI, using virtual instruments and plug-ins. Who knows, the next Van Morrison or Chris Rea could be learning how to mix music in the Donahies Community School? Stranger things have happened! National and international critics affirm that Ulysses by James Joyce is one of the greatest novels ever written. Most Dubliners are proud of the book and speak about it with affection and good humour. Indeed, they are known to wax lyrical of its attributes both with other Irish people and in conversation with tourists and fellow holidaymakers while abroad. Amazingly, they engage in these exchanges despite the fact that they may never have read Ulysses! I understand this attitude because, like most ordinary people, I was intimidated by its ‘infamous’ reputation as a highly complex tome that can only be deciphered by the professional academic. My situation was compounded by the fact that I am an English and History teacher who studied English in Trinity College, in the mid-1970s, under two iconic academics, Brendan Kennelly and David Norris. And it was compounded because, I too was, in my 50s and had still not risen to the challenge of reading one of the greatest literary achievements to be created by a fellow Dubliner. In January 2013, in order to address this shortfall, I made a pact with the Senior Librarian of Palmerstown Library that we would rise to the challenge of concluding our reading of Ulysses in time to celebrate, as ‘authentic’ Joyceans, Bloomsday on 16 June. 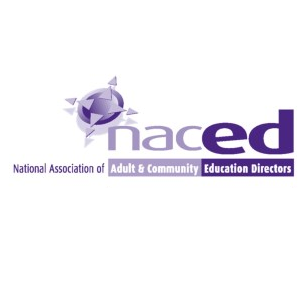 I love teaching and I love witnessing the flourishing of adult learners within the context of lifelong learning from the cradle to the grave. Therefore, we decided to offer a study group to 22 adult learners. The experience was intoxicating and utterly unforgettable. I explored with this initial group the reasons why so many Irish people are reluctant to read this great Irish novel despite having such respect, curiosity and affection for it. Their feedback holds true for subsequent groups that I have facilitated in Coláiste Chiaráin, Leixlip where even avid readers and literary aficionados frequently disclose how ill-equipped they have felt at the prospect of taking on such a tome. Some say that having started to read the book, they soon became overwhelmed by obscure references and a complex structure. Consequently, Ulysses is archived in their inner most stacks – under the bed!! And all this happens shortly after the first episode (chapter) which ends with the word, ‘Usurper’. There is an irony in this concluding sentence as it speaks of the absent eyes of the average reader whose presence, as Declan Kiberd, explains, has been supplanted by the ‘literary canon’ and ‘corporate university’. The legend of its forbidding difficulty has scared readers off (Kiberd, 2009). I always have a similar discussion with the groups who sign up for the Ulysses class In Coláiste Chiaráin, before commencing the study, as the exercise proves very useful in ameliorating their concerns and assuring them that their experience is a very common one. Reading Ulysses requires time and commitment. There is a certain mystique surrounding Ulysses which is tangible when the class first meets; a sort of conspiratorial ‘nod, nod, wink, wink’ undercurrent which permeates the class; not unlike the attitude excited teenagers have in anticipation of looking at something hereto forbidden. However, as the class settles down to study, this initial reaction soon develops into a far more measured attitude as readers discover that Ulysses is a complex work of art that demands rigorous attention. Ulysses consists of 18 episodes which are spread over more than 700 challenging pages. Reading Ulysses is not unlike training for a marathon: you need a time-framed programme which builds up stamina, speed and endurance by ring-fencing a minimum of one hour per day and by committing to this regime for six months. Another important dimension to the work of reading and studying the text are the trips which I arrange at various stages of our reading of the book. This includes visits to Glasnevin Cemetery to follow in the footsteps of Leopold Bloom as he partakes in the funeral cortege of Paddy Dignam (Hades, episode six). In the past, our guide, coincidentally also called Paddy, retraced the fictitious event and enriched the experience by showing us the graves of Joyce’s contemporaries including those of Daniel O’Connell, Charles Parnell, Arthur Griffith and Home Rule who are referenced in Ulysses. Other visits include the Martello Tower, Sandycove (Proteus) where one group gathered on a blustery, wintery day, shortly before Christmas to be brought on an exhilarating tour by the author and Joycean, Robert Nicholson. Robert explained how Joyce was a ‘literary magpie’ who incorporated events and real people from his life into his work. In this instant, he showed us where Joyce, as guest of Oliver St. Gogarty, slept and was subsequently terrified by the antics of another guest, forcing him to flee the tower in the middle of the night! This incident is immortalised in the opening episode of Ulysses. 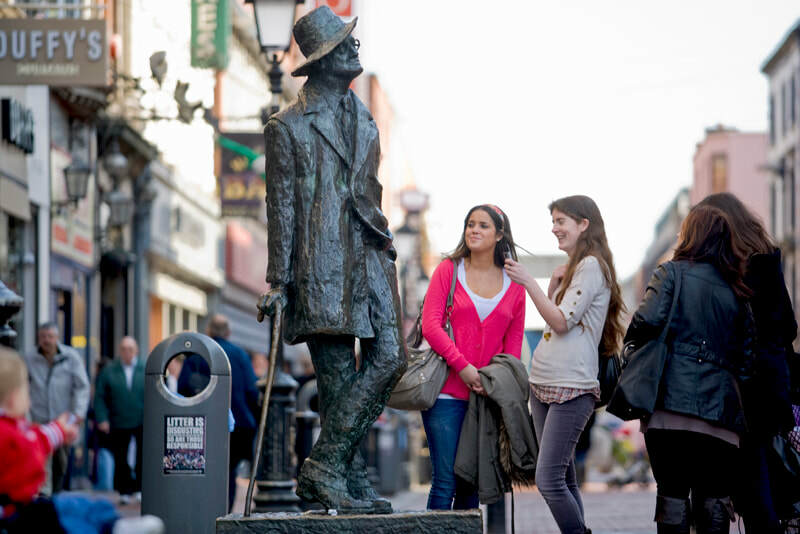 Adult learners really enjoy and are stimulated by visiting places in Dublin which are referenced in Ulysses. Terry Fagan, local historian, Dublin north inner city, enthrals groups with his tour of Dublin’s infamous red-light district, which is commonly known as ‘Monto’; it features in Ulysses as Nightown in Circe, episode fifteen. 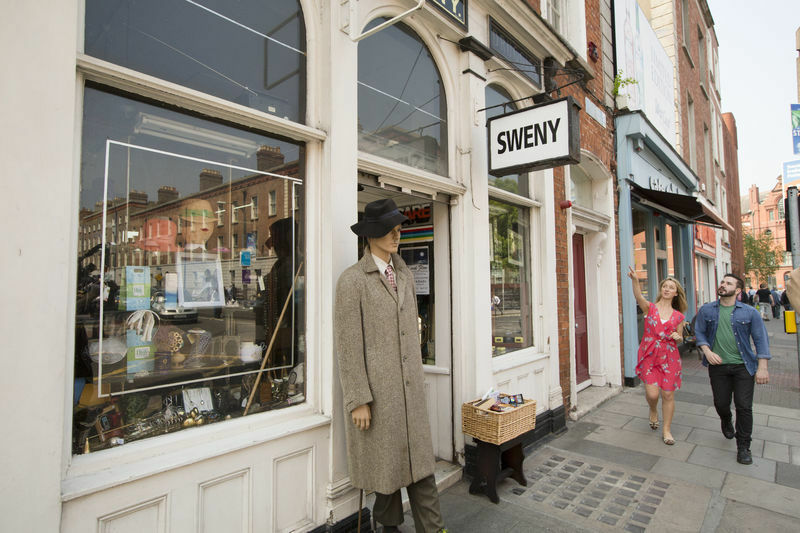 For some suburban adult learners, visiting the old inner-city of Dublin is revelatory; for others it offers the opportunity to recall childhood memories of having lived there, or to share stories of relatives who survived tenement living and fought in the city streets against the British Empire. Earlier this year, the present group of adult learners, having read Lotus Eaters, (episode five) - which concerns the adventures of Leopold Bloom as he traversed the city from north to south - had a fantastic visit to Sweny’s chemist, Lincoln Place, Westland Row; this is where Leopold bought the famous slab of lemon scented soap. The curator, a magnificent and generous, gifted raconteur, served us up copious cups of steaming tea and delicious chocolate biscuits; led us in a reading from Ulysses, a sing-song from Edwardian times and a discussion with other Joyceans from various countries who were also there. In April 2019, the present group will have successfully completed a first reading of Ulysses. 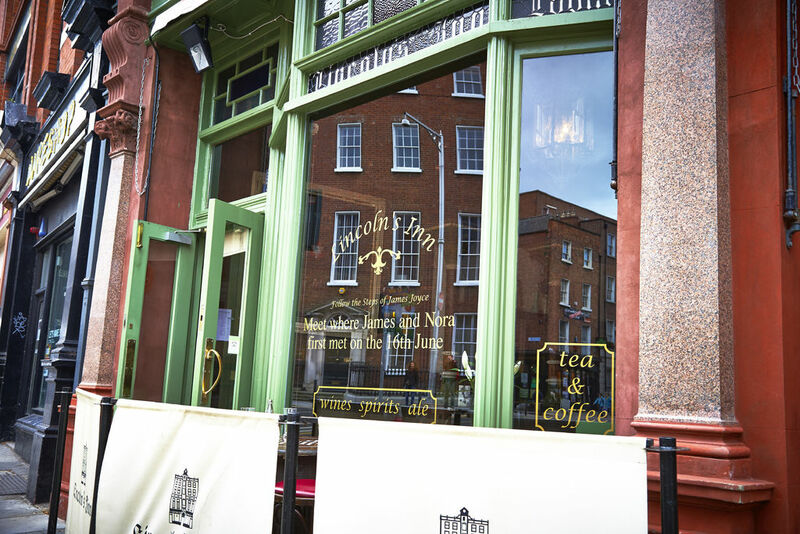 The occasion will be marked by our final outing which will be to the Jewish Museum, South Circular Road. This little gym archives an integral, but lesser known, part of Irish history and has been a highlight for past groups. Studying Ulysses opens up unexplored areas of culture, history, beliefs and philosophy etc. In the great tradition of adult learning, it inspires the reader not only to pursue further study of Ulysses but to enquire into other areas of interest which the book pre-empted such as gender and sexual orientation, minority rights, fascism, racism, identity etc. How right James Joyce was in claiming that his great work would keep critics and readers baffled and curious for generations! I love working in the evening programme in Coláiste Chiaráin and value the support of the staff members in their determination to make special interest subjects accessible to the suburban reader. For me, the spirit of the philosophy of adult education and lifelong learning which underpins the night classes is paramount, as it gives me the flexibility to design and deliver the programme in response to the needs of the class. I have been working for a few years in Coláiste Chiaráin and every programme I facilitate is unique in keeping with the needs and interests of the group. We learn together in equal partnership – and have fun in the process. I put my hand up at the very start of the session by admitting that I am a non-academic Joycean enthusiast who will be delighted to see the back of them at the end of our reading of Ulysses. This revelation usually generates a tense class reaction which explodes into hoots of laughter as I explain that all of the past members of the classes which I have facilitated invariably outperform me in terms of their grasp and understanding of Ulysses! At the end of our classes, I wish them well as fully fledged Joyceans and look forward to seeing them ambling in the footsteps of Bloom and Stephen on Bloomsday to the ring of Molly’s affirmation, ‘and yes I said yes I will Yes’. Cayisha Graham, Dance tutor at St Tiernan's Community School, Balally, Dublin. Although I was born in England, I am half-Jamaican and half-Italian and growing up in Jamaica aged from four to seven had a massive influence on me musically. In Jamaica, you are reared on music, you live and breathe it, it’s a way of life. From a very young age, children have great rhythm, largely because they are exposed to dance and music all the time. When I moved from Jamaica to Ireland, it was a huge culture shock and took me a while to settle in. My taste in music was very different from anything that was going on in Ireland and I don’t think anybody had really even heard of Caribbean music back then. In my family, I think dance and music were a way for us to bond, so you would often find the whole family in the kitchen breaking out the moves in our own way of togetherness. And that has not changed to this day! 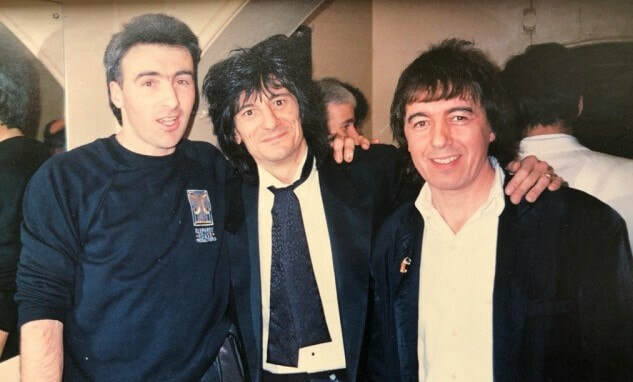 In school, I connected with friends through various bands that we had in common. I can remember choreographing for local talent shows - I really took them and myself so seriously! I would get a crew together to learn dances from my favourite bands - Steps, Five, Spice Girls, you name it we had the dance for it (cringe). That’s really where it all began. 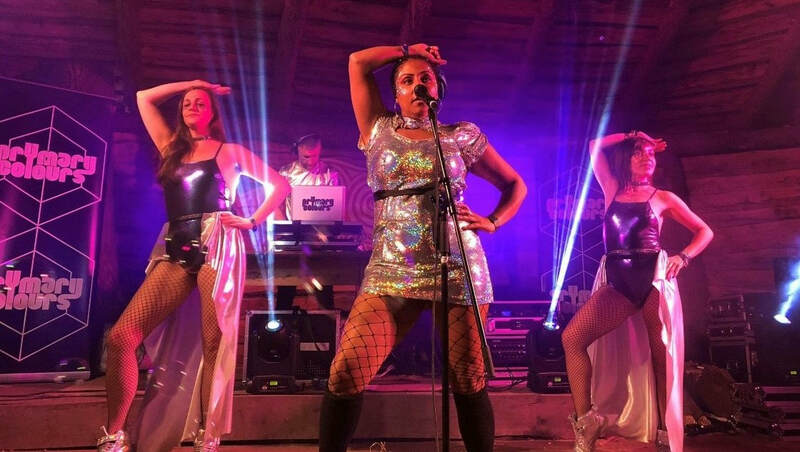 Cayisha sings and dances in her own band, a dream come true. I used to take classes in the Dance Theatre of Ireland and I remember being in awe of my dance teacher and thinking he was the coolest person ever. As a teenager, I was going through all the highs and lows of teen angst. Then, I realised that dancing gave me confidence - it was my escape from worries and stress. When you’re dancing, you’re in the now, there is no room for thinking about anything else. I found it was like a form of meditation. Later, I did a dance course and experienced the life of a dancer. It was very challenging but very rewarding and I learned a lot about myself. When I finished college, I got a job as a teacher in the Dance Theatre of Ireland. When I passed the audition, I was in shock because I found the place so daunting. This is where all my idols taught me and, now, little old me has the chance to follow in their footsteps. Teaching in the Dance Theatre of Ireland is almost like coming full circle. And so many doors have opened up for me, I really have Loretta Yurrick and Robert Connor, the artistic directors of the Dance Theatre to thank for that. Their belief in me gave me the inspiration to push my boundaries and this is an inspiration I try to pass on to all my students, including those on my DancerSize night class in St Tiernan’s Community School. The job is so rewarding when you see the difference it can make to a person’s life. I often see students coming in very shy, timid and no confidence. After a few classes, they come out of their shells and are full of confidence. I try to create an environment that’s happy and safe. From my youngest student to my oldest student who is now 78, dance is timeless and it’s a beautiful thing to watch them flourish regardless of their age. I also sing and dance in my own band - I feel I made my childhood dreams my reality. I couldn’t ask for a better job. It is true what they say - choose a job you love and you’ll never work a day in your life. As long as you believe in yourself, you can make your own dreams come true too. 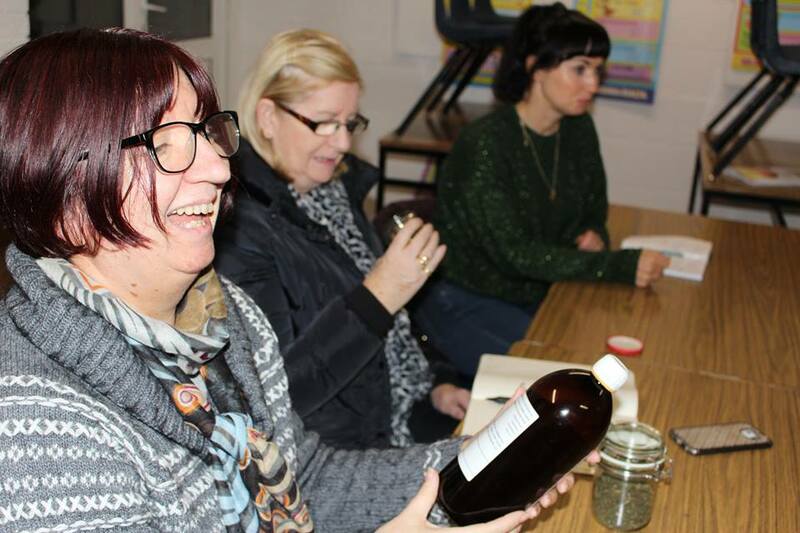 Working in the area of addiction in north Dublin, Tom O’Brien saw what he terms the “overuse of medicine” and began to explore herbal medicine as an alternative. With an MA and a PhD in Adult and Community Education, specialising in addiction, mental health and community development, he added a qualification as a herbalist to the mix in 2012. Involved in adult and community education in his day job, he also delivers an Introduction to Herbal Medicine night class in The Donahies Community School. 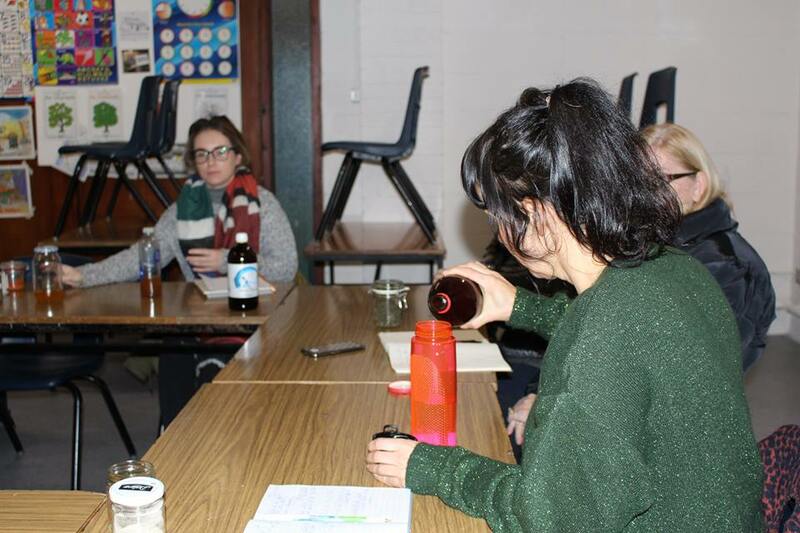 In the class, participants learn how to use herbal medicines to prevent illness and improve health, including natural approaches to better mental health. They learn the basics of herbal medicine, including plant identification, what herbs to use for what, how to use herbs safely, and how to make homemade remedies. Herbal medicine is a way of living and of supporting others, says Tom. This comes at a time “when people are concerned about health matters and may be disillusioned with medicines and the side effects of certain drugs”. 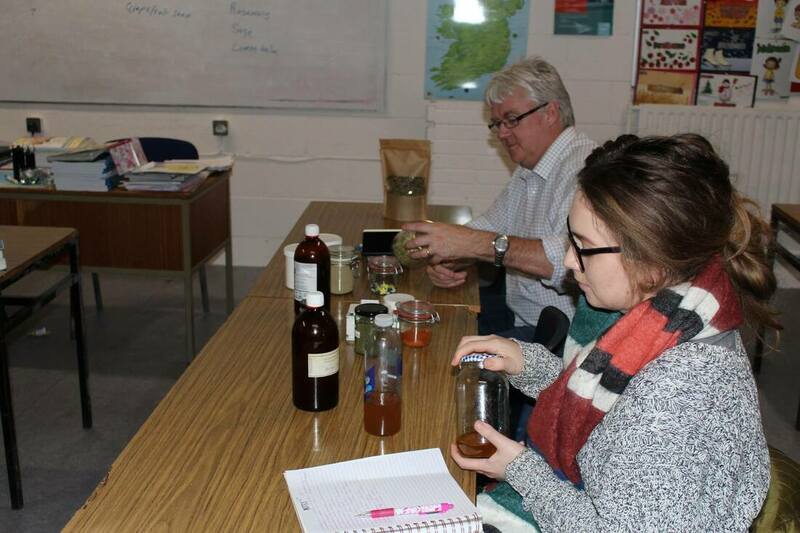 Tom O'Brien pictured with his Herbal Medicine class at Donahies Community School. Tom is committed to ensuring that herbal medicine reaches a wide audience and his YouTube channel, blog, and Facebook page help to do just that. In the meantime, keep an eye out for his next night class! ​In Trim, Co Meath, one tutor is bringing the concept of ‘hygge’ to adult education in Boyne Community School. Hygge is a Danish concept encompassing a feeling of cosy contentment and wellbeing generated through enjoying the simple things in life. 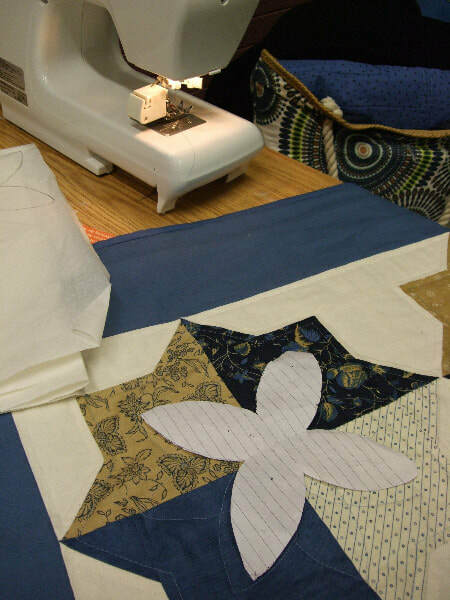 Christina learned her patchwork in Denmark, so she had a clear template for adult education in her mind on her return to Dublin. 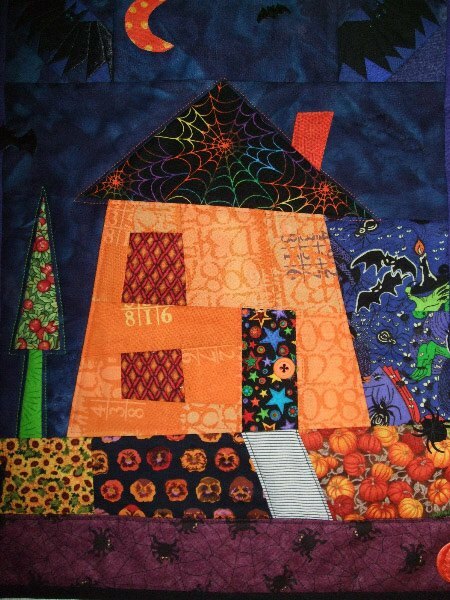 “I felt that people wanted to do something creative at night, something different to their day jobs. Now, we have about 12 in the classes and regulars who keep coming back to us. 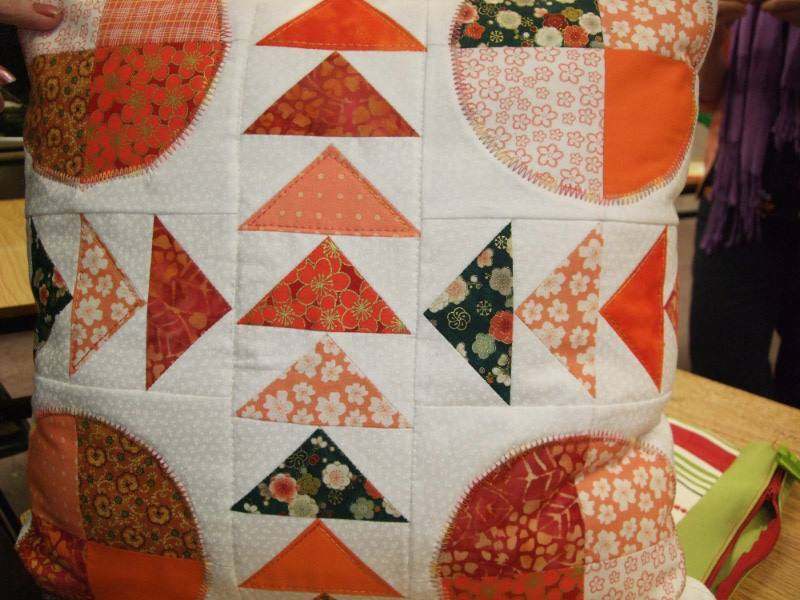 You'll also find Patchwork classes at Coolmine Community School (Dublin 15) and St Colmcille's Community School, Knocklyon (Dublin 16). 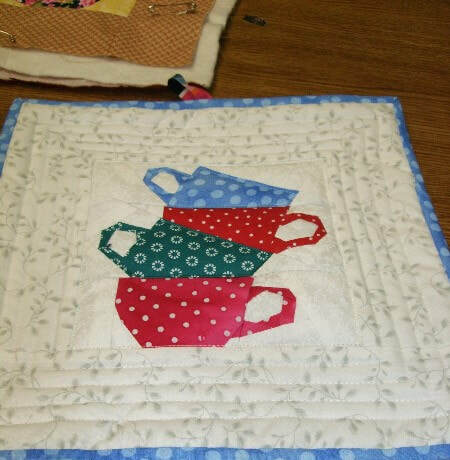 We also recently published a feature on Deirdre Carroll, the Patchwork Quilting tutor at St Comlcille's. Andrew Mahon Ukulele tutor extraordinaire! Did you know that the ukulele dates back to the 1800s? According to legend, Portuguese immigrants brought ukuleles with them to Hawaii around 1879. The little four-stringed instrument has remained popular since then – and tutor Andrew Mahon is playing his part by giving ukulele night classes in Portmarnock Community School. “The ukulele is easy to play and can lead you on to learning how to play other stringed instruments, like the mandolin, banjo or guitar,” says Andrew, who also teaches beginner and advanced guitar night classes in the school. From the sounds of Hawaii to old western music, the sweet sound of the ukulele has transfixed people for generations. Andrew keeps a contemporary twist to the tunes the group learns, with much competition to learn melodies suggested by the night class participants themselves! There is also a blend of skills, which serves to motivate new students when they see the level of skills that can be achieved. And they’re in good hands – Andrew has been an avid guitar player for over 20 years playing for enjoyment and also professionally. Having attained his teaching diploma for guitar from the Victoria College of Music, London, he’s sharing the joy that playing music can bring with a winning formula! A number of NACED schools now run Ukulele classes for beginners and improvers. There are courses available in Cork, Meath, Kildare, Dublin and Wexford. 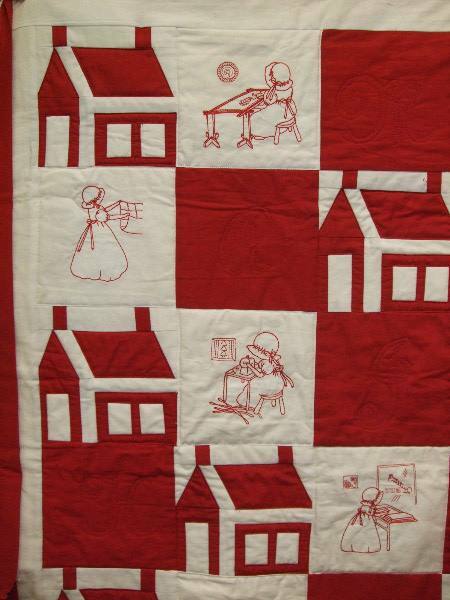 Mary Coonan is a sewing tutor with a waiting list! 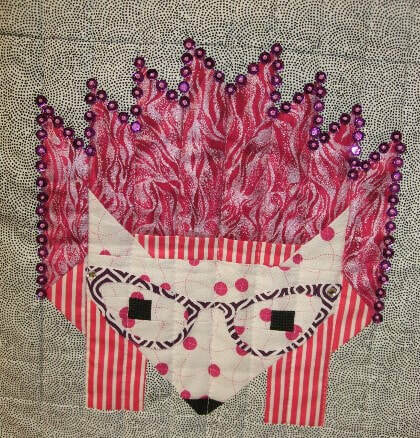 An experienced designer, she tutors in The Donahies Community School on Tuesday, Wednesday, Thursday and Friday nights. That’s not all! She also runs classes there on Wednesday afternoon. And on Saturday morning and Saturday afternoon. Whew! “When the recession hit, people began to look at knitting and sewing again – about making and repairing things,” says Mary, who trained at The Grafton Academy of Dress Designing in Dublin. 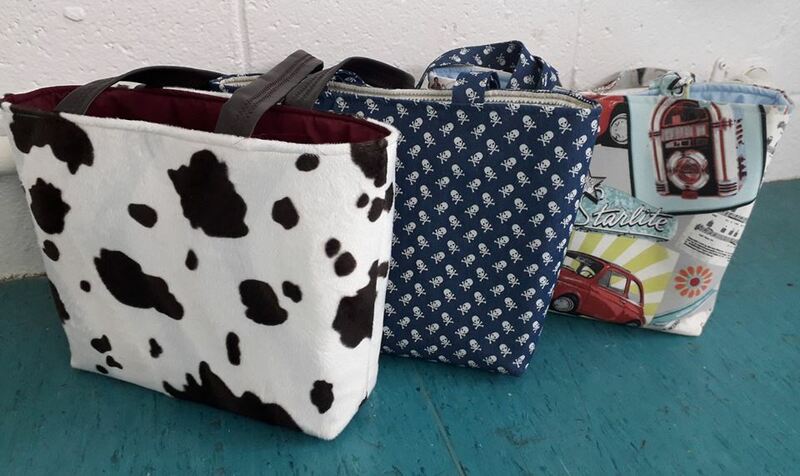 “Then, the likes of Aldi and Lidl started to sell sewing machines and wool at cheaper prices and that made sewing and knitting more visible and manageable for people. 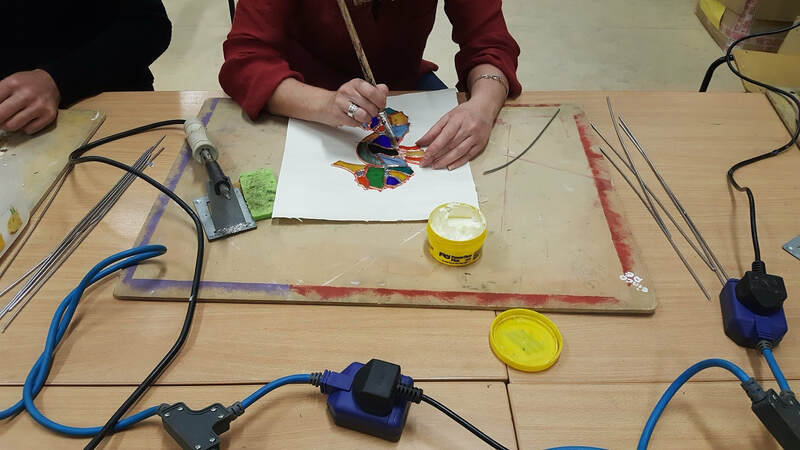 Scoil Mhuire, Clane Community School, Co Kildare, has an exciting selection of new courses, along with some returning favourites, for those who want to get in touch with their creative side! These courses are delivered by tutors with extensive experience in their respective fields! Whether you want to awaken your muse or just get journaling, this is the course for you! The tutor, Mari Gallagher, uses a variety of texts and artistic themes to inspire freewriting exercises including the work of Julia Cameron, James Pennebaker and Karen Hering. Freewriting has long been lauded as a wellbeing tool and can be used to overcome daily challenges as well as kickstarting the creative brain. The tutor is a psychotherapist and published author. Students learn the fundamentals of writing songs starting with the very basics and finishing with them writing and recording a song of their own. The course covers lyrics, melodies, chord patterns, music theory and various genres of music. Tutor Megan O’Neill is an Irish singer/songwriter who has worked in Nashville and London over the past seven years as a touring musician. She was teaching song writing workshops and private classes The Song Academy in London and is now implementing a similar program back in Ireland. 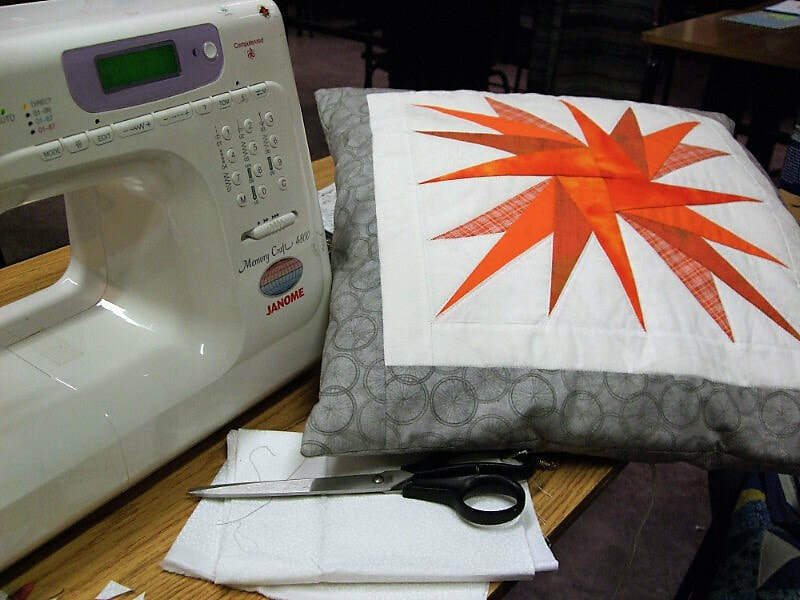 Gain an insight into what a fashion designer does and learn how to draft a pattern from you own design sketch as a professional fashion designer would. 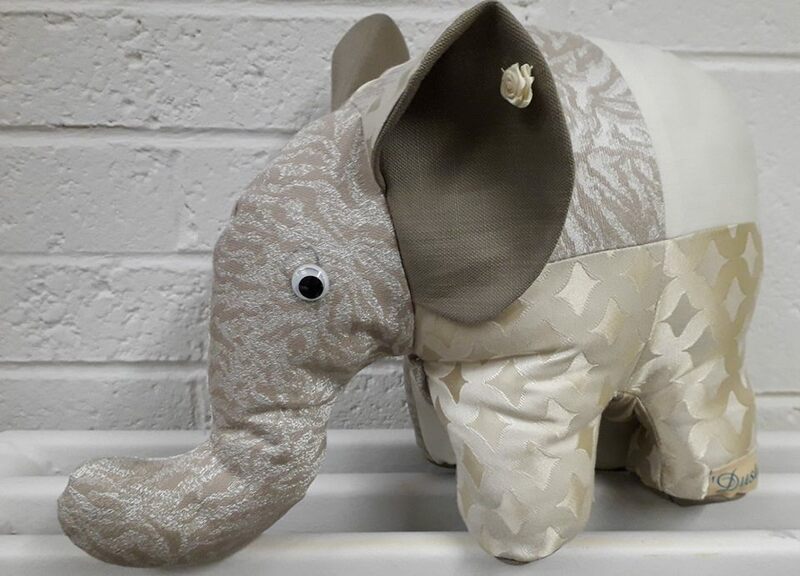 You’ll be taken through the early design stages, the sketch, how to transform the finalised sketch into a technical flat and how to transform these flats into a final drafted pattern which can be professionally produced. Both the pattern and the produced garment can be used as portfolio pieces which can be assessed by any potential employer in the industry. Joanna Cribbin is the owner of the fashion label Joanna London. Her brand is sold in independent boutiques in London, Dublin and Galway. She has extensive experience in the industry, including working in Wardrobe for RTÉ, as assistant image editor on U Magazine, and as an assistant to John Rocha at China Town, and designing a raincoat which went on to become a best seller at A-Wear. Ireland has a wealth of talented poets, playwrights and screenwriters. On the back of tremendous Irish successes such as Song of the Sea, Brooklyn and Black 47, there has never been a better time to try your hand at writing for film and television. At the end of the course, students will be able to take home their very own short film script which they may submit to film festivals, script competitions or perhaps even go on to produce themselves. After completing the course, the only limit to your potential as a screenwriter for film and television is your imagination. Release your inner creative talent! This course looks at various forms of writing including articles, essays, stories, and will cover topics such as dialogue, narrative, character development, research, etc. The techniques under discussion will be practised and writers will receive constructive comments from the class. Tutor Shauna Gilligan is a novelist and short story writer from Dublin, now living in Kildare. She holds a PhD in Creative Writing from the University of South Wales, is an active member of the Arts Council of Ireland Writers-in-Prisons Panel and a Professional Mentor with Irish Writers’ Centre. Her debut novel Happiness Comes from Nowhere was a critical success. As people become more aware of the effects of pesticides, herbicides and chemical preservation on our food and land, we are now returning to the much-prized skill of growing our own. But it is difficult and often very confusing for someone starting out on this tantalising adventure. Set-backs in the initial stages can be very discouraging. Gorey Community School, in Co Wexford, is running a night class in Organic Kitchen Gardening suitable for both the beginner and those who have gardened before and realise there are gaps in their gardening knowledge. This course is designed to bring the gardener through the initial stages of setting-up, sowing and growing their own edibles in the garden, plot and pot. Classes are held once a week and offer up-to-date information and advice on what gardening tasks should be done and how to do them at the most critical time of the growing year. Each class enables the learner to go home with some knowledge they can put into practice that very week. This is a do-as-you-learn course. Participants gain the knowledge, skills and confidence to enable them to advance on their gardening journey, with lots of encouragement along the way. They learn how to be self-sufficient in baby salad leaves, using just three large pots. They gain an understanding of how to care for their soil, the very basis of good health. They get to appreciate how nature works and balances, so there is no need to run out and buy sprays every time there is a problem. This course brings the participant through the stages of sowing, growing, protecting and staking fruit, vegetables and herbs in a healthy organic soil. Classes are delivered by a fully qualified horticulturalist with over ten years’ experience in the industry, so the information provided is the very best! “I believe that, for every problem or need you have in life, God has an angel who can help and guide you. I believe angels live in the spiritual realm, that they are always close to us and, if we can relax our busy minds and tired bodies, we can make contact with them, receive their love, wisdom and blessings. 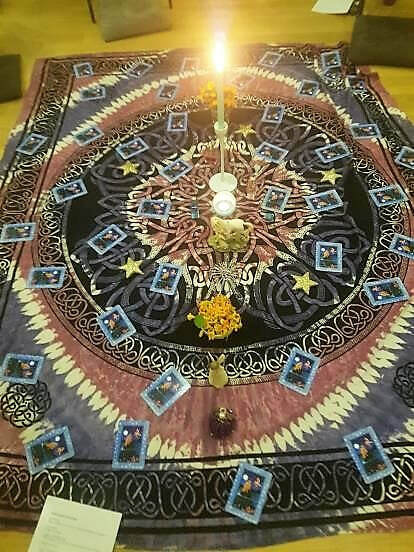 In the classes which I have been running at Old Bawn for the last 18 years, I try to help the men and women who come to them make their own personal connection to the Angelic realm. I try to show them that angels are everywhere even if they are not aware of them, even if they don’t know what angel is in charge of what. That there is energy, rays of light coming from God to help us and each ray is an angel. An Angel with qualities and gifts we can have access to. In order to do this, I teach them to slow down, how to relax their bodies and minds so that they can become more aware of all the other energies going on in and around them. In order to do this, we practice relaxation techniques, give one another head, hand and foot massages, hands-on healing in the fragrant atmosphere of Aura Soma Colour therapy oils, pomanders and quintessences, in candlelight with soothing music playing in the background. During the classes, we use all sorts of different kinds of Angel Cards that are on the market. Explore their artwork, the printed messages and what effect this information has on each one of us personally. To help us relax further, we use Bach and Bush flower remedies to help stabilise our emotions. At the end of the evening, I lead the group in a guided meditation. As they recline on the sofas and bean bags, I invite them to meet the Angel of the evening. They leave relaxed connected in a more meaningful way to an angel who supports them for the following week. Enlightenment through supportive literature (handouts). The ability to pray for others in need in the world and to send healing to them through the power of intention. Knowledge of the Angels and their qualities. Experience of using lots of different kinds of Angel Cards on the Market. The opportunity to use Bush and Bach flower remedies and personally witness their effects on your body. The experience of using Aura Soma Colour therapy oils, pomanders and quintessences. An understanding of how busy your mind can be and how you can interrupt the worries, the fears, the to-do lists the ego will give you to prevent you from relaxing and having the small quiet voice within that is your real self. The opportunity to spend two hours, where nobody wants your attention, nobody needs you to do anything for them. Two hours where you can tell yourself you are taking a break to concentrate completely on your own self, your spirit and your soul. Two hours when you don’t have to solve any problems. Two hours to relax your body and mind and catch up with yourself in a scented, candlelit, friendly atmosphere where you are unconditionally accepted. Two hours of peace where you can just be. Two hours to get to know lots of different angels and what they do. 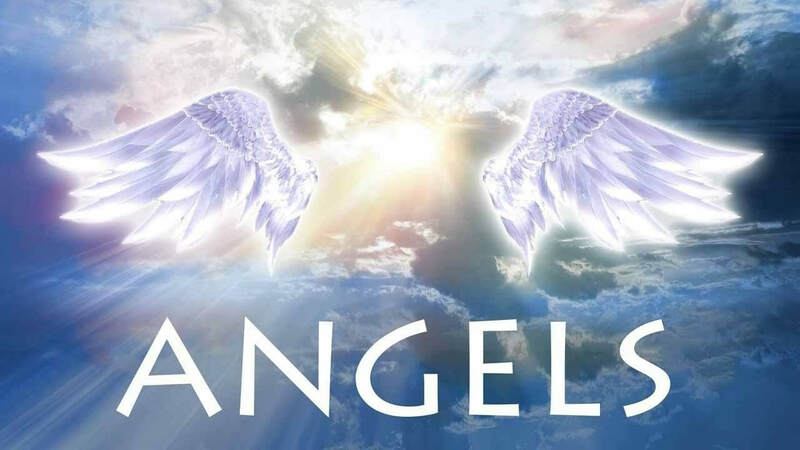 Two hours to find out how you are feeling and how you would like the angels to help you in the week ahead. Angels courses also run at other schools in our network. 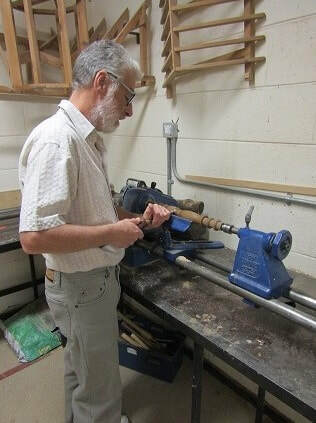 Graham Brislane brings his lifelong love of woodturning and demonstrating to the night classes he tutors in St Tiernan's Community School in Dublin. Woodturners in general are known for passing on their ideas and knowledge. 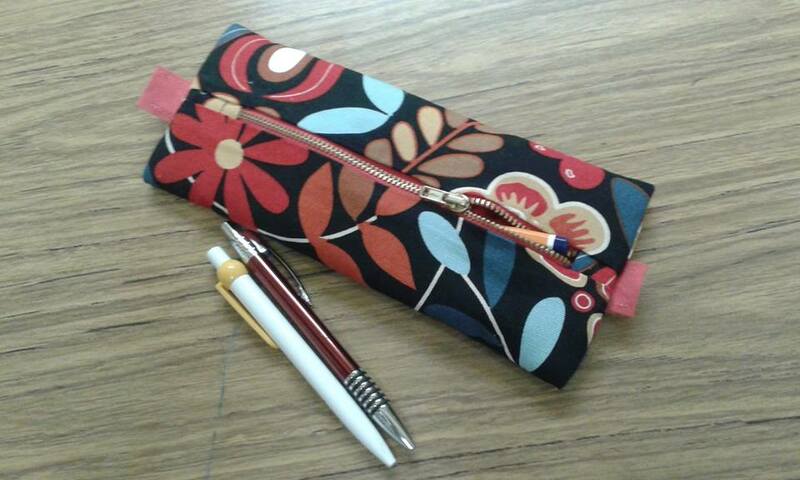 He tries to give students a project each week, which they can finish and bring home with them. 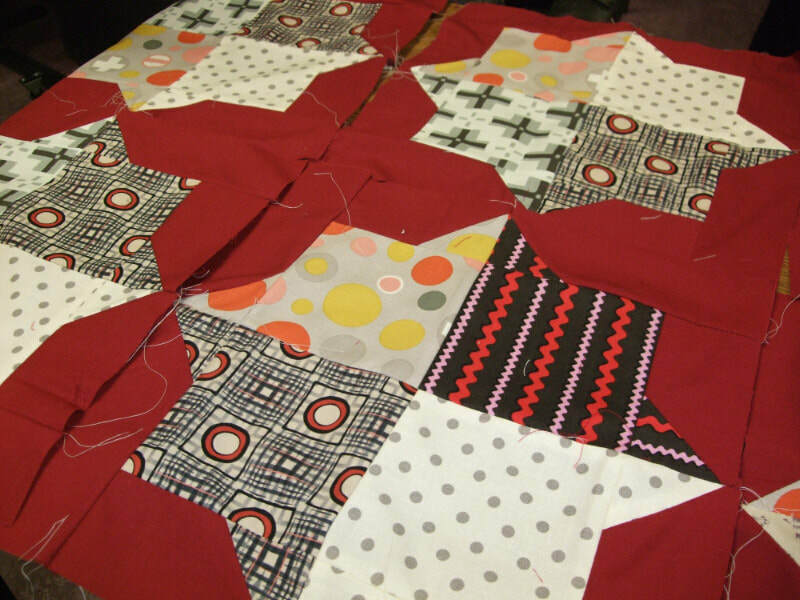 If students do not finish a project, Graham encourages them to bring the piece back the next week to complete it. 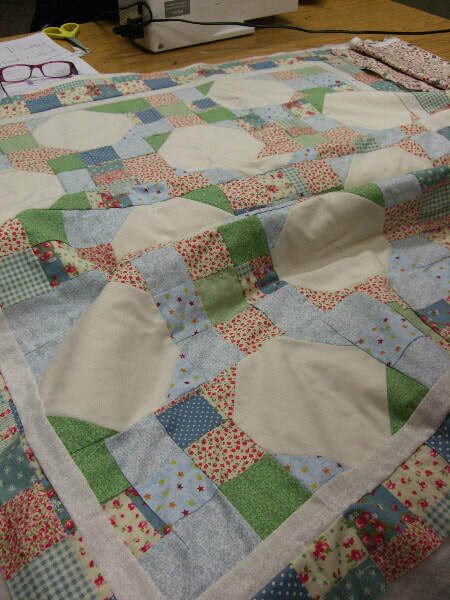 As the weeks advance, the projects get progressively harder. A member of the Dublin Chapter of the IWG, Graham benefits from the IWG-organised demonstrations and competitions. There are about 20 IWG chapters around the country now, and an annual seminar with foreign demonstrators from as far away as Europe, the US and Australia. Graham’s first ventures into demonstrating were in a primary school, where his wife works. 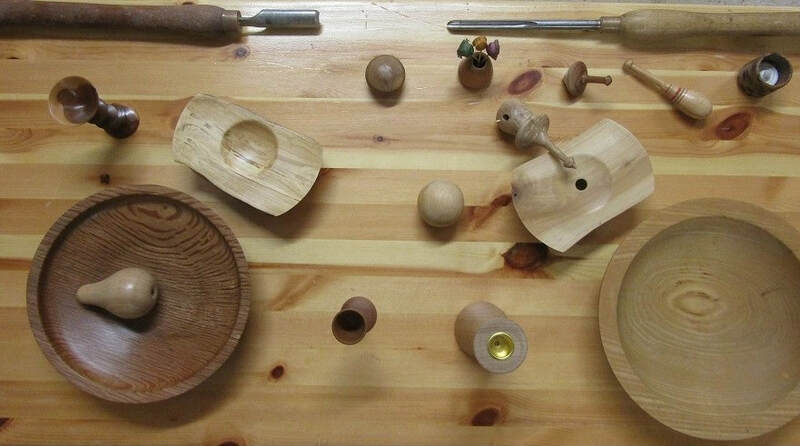 Each year, he talked to pupils about the different types of wood from around the world, showing them samples of what can be made, and demonstrating how to make a small item. They loved seeing things like spinning tops being made, and would queue up to make it spin! 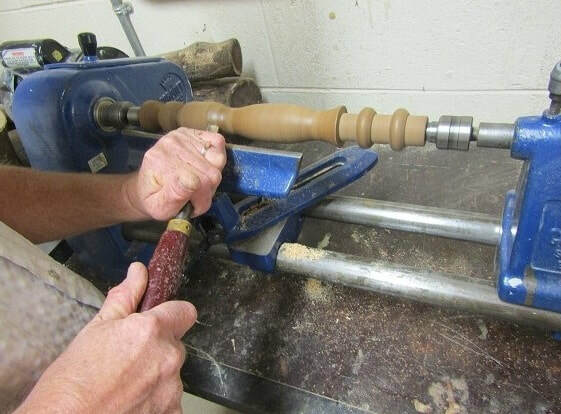 A number of our other schools also run Woodturning courses. 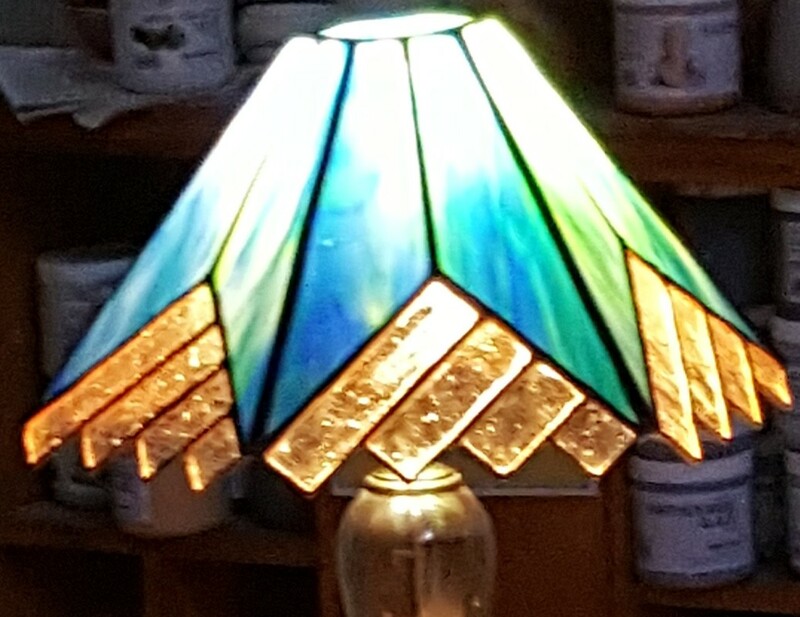 If stained glass is making a revival in Cork, it could be down to one man, James Nicholl, who facilitates stained glass night classes in Carrigaline Community School and Ashton Comprehensive School. 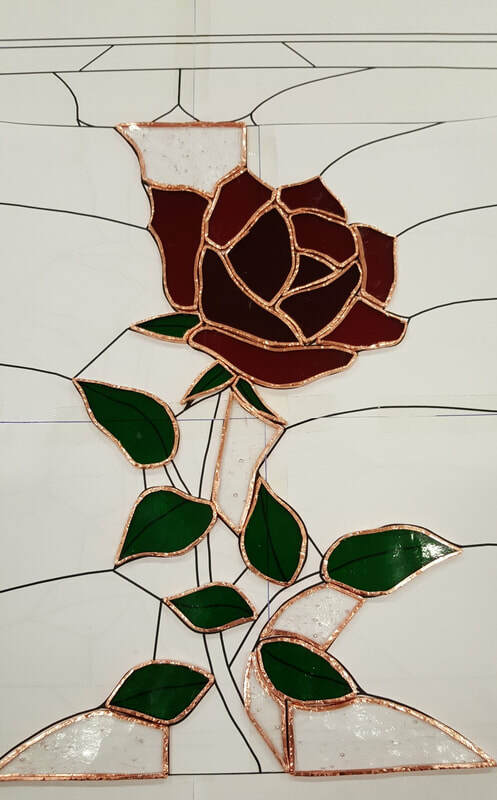 Some of our Dublin schools also run Stained Glass courses. Megan Buckley, Floristry tutor at Ballincollig Community School, at work at Cork Flower Studio. I first found my love for floristry when I started helping out for Valentine’s Day. My job was to wrap single red roses in the back room. I was still a student in Ballincollig Community School and later went on to do a night class in floristry there. 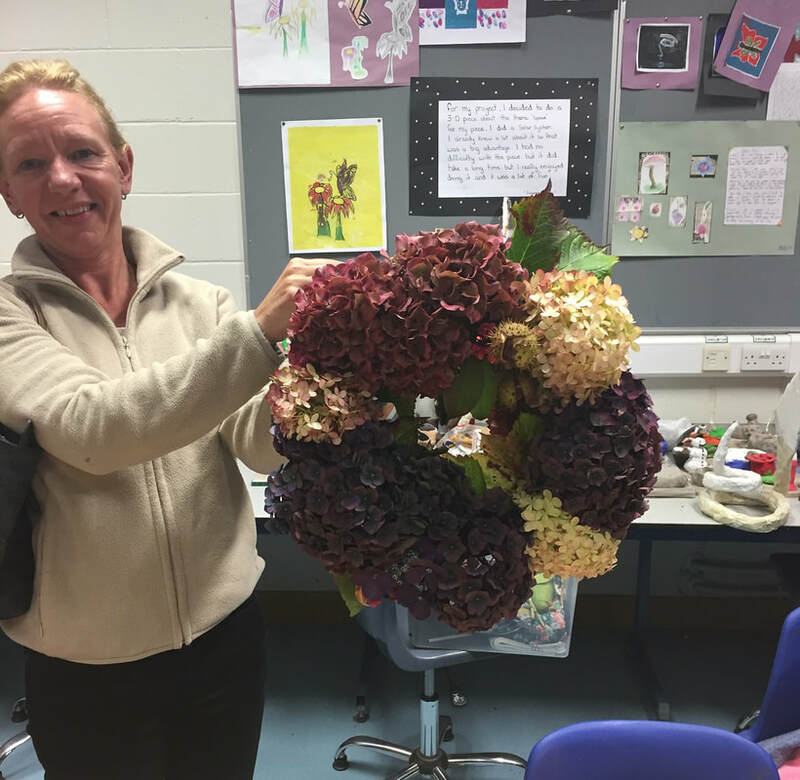 When I was doing my apprenticeship in floristry, I had to perfect the skills that I learned in the night class by working and learning with some of Cork’s master florists. Since then, I have worked in the most beautiful flower shop, Cork Flower Studio, the very place where I started wrapping roses on Valentine’s Day. The flower shop that saw my potential from the beginning is also the flower shop that has made me an exceptional florist. 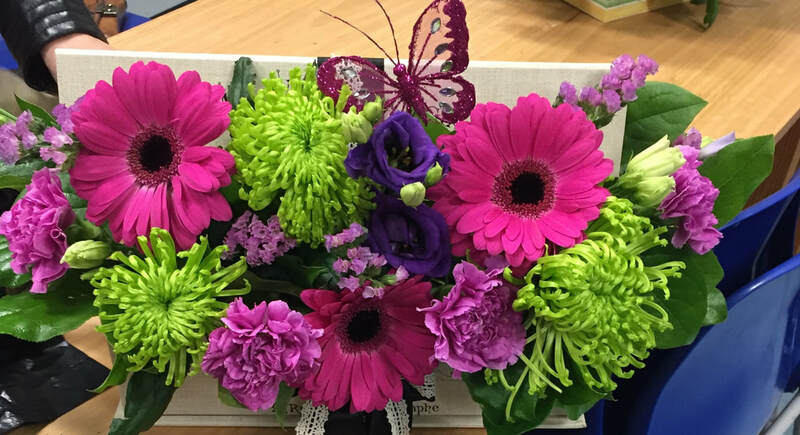 I have worked my way up the ranks and I am now the Manager of Cork Flower Studio! And, today, I am back in Ballincollig Community School, tutoring the night class that got me started! This is my second year tutoring there - I love teaching my skills and demonstrating in front of groups. A number of our NACED schools also run Floral Art and Flower Arranging courses for adults. With conflict zones in many places across the globe, it can be difficult to make sense of world politics. One night class in Kinsale Community School, Co Cork, addresses geopolitics head on. ‘Disarming Global Conflict’ is an eight-week night class, focusing on the causes of conflict and human rights abuses. Each class incorporates a wide variety of audio and visual material to examine current political and social events such as the growth of terrorism in mainland Europe, nuclear tensions on the Korean peninsula, and the use of social media as a propaganda tool. The Middle East: From the birth of Islam to the rise of I.S. Exploring digital photography is a wonderful opportunity to be creative, particularly today when cameras on mobile phones mean that you need never miss a chance to capture that memory. And, yet, we can always take a better photo, which is where digital photography classes come in. Michael Keane took the scenic route to his digital photography night class, in part because of redundancy from his full-time job. “I worked in Waterford Crystal as a master glass blower for 25 years,” says Michael. When Waterford Crystal closed, he moved into garden furniture, opened a garden centre, and did landscape garden design. “I realised that in the garden-related work, I was relying on the weather. So, one night, I made a list of things I wanted to do – driving instructor was first on the list, followed by photography. So, I bought a camera, and enrolled on a digital photography night class in Ashbourne Community School – and that led on to more studies. I did QQI Level 5 and 6 in photography and then went on to Dublin Institute of Technology to do a degree in photography. “A lot of the projects I completed were around social issues, including one entitled ‘Fragments’, which examined the aftermath of road accidents. Other projects featured children with autism, nursing homes, the National Rehabilitation Unit in Dun Laoghaire. Later, I opened my own studio and training centre, teaching photography and working on wedding and landscape photography. So, what tips does the master photographer have for the snap happy among us? Slow down. When you buy a roll of 35mm film, you have a finite number of images. So, slow down and become aware of possible images. Look at colours, textures, lines and become more aware of your surroundings. That will help towards taking better images. Don’t shoot loads of images. Michael gets his students to produce six images, two each in different settings, so that they can appreciate the differences in the end photograph. Less is more! Look at the lighting available to you. Everything you shoot is affected by the light, so look at the lighting available to you as that will determine what settings you need to use. In the meantime, if you’d like to get better photographs from your mobile phone or DSLR camera, consider a digital photography night class. It could change your life!